Asthma clinics are held regularly at the practice. Asthmatics on medication should have regular assessments in order to monitor their progress and adjust treatment accordingly. Newly diagnosed asthmatics may need support and information on the condition as well as advice and instruction on inhaler technique and these patients will be referred to the asthma clinic by their doctor. 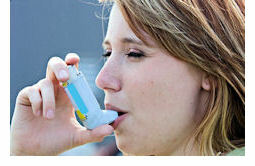 Most asthmatics learn to control and monitor their symptoms. Guidelines and devices to do this will be provided in the clinic together with booklets and advice about recognising problems.